Harajuku girl with multicolored floral dress and fish bag. Japanese YouTuber in colorful street fashion while out in Harajuku. 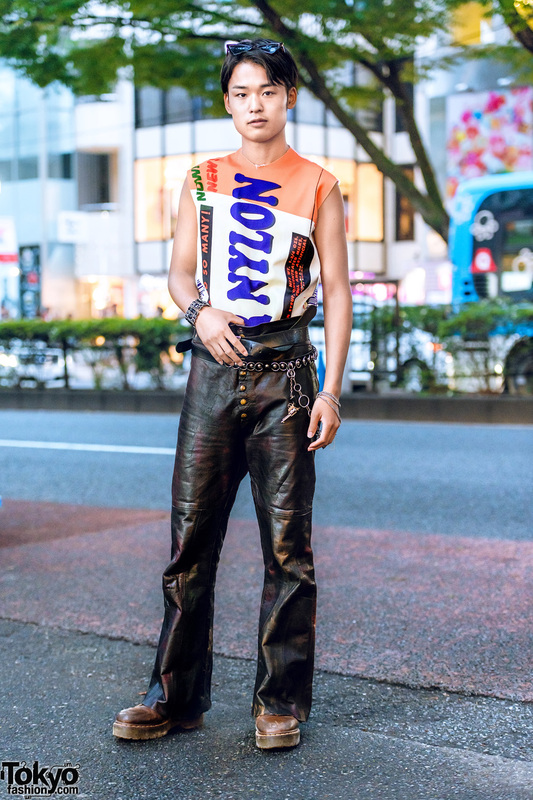 Japanese student wearing a sleeveless graphic tee and vintage leather pants in Harajuku. 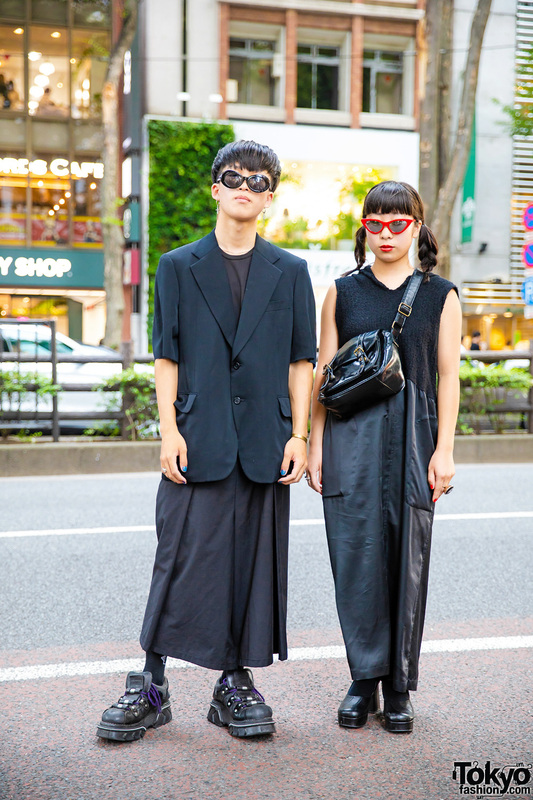 Japanese duo in all-black street styles while out in Harajuku. 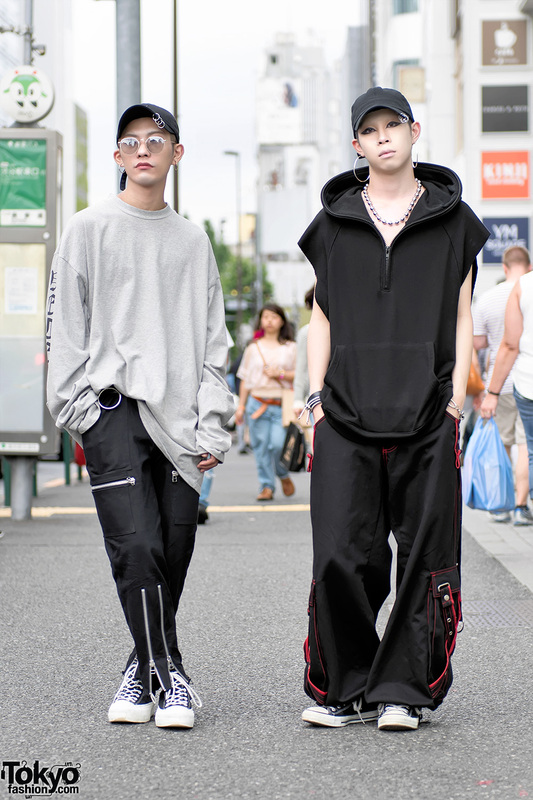 Harajuku duo in monochrome street fashion w/ sleeveless button down shirt, pleated pants, zipper boots, cropped suspender top and pleated skirt, heart handbag, fishnets & heeled loafers. Harajuku duo in red and black fashion w/ vintage dress over fishnet stockings, cutout platforms, heart shaped handbag, floral print shirt over black t-shirt, wide leg pants, platforms and bucket backpack. Harajuku guys wearing caps along with fashion from the Tokyo streetwear boutiques Never Mind The XU and Banal Chic Bizarre. ZZTop sleeveless t-shirt & plaid skirt with creepers & fishnet socks, quilted backpack and heart necklace.